Ten years ago today the Naval Security Group Command was disestablished. RMKS/1. ON 30 SEP 05, NAVAL SECURITY GROUP COMMAND (NSG) WILL BE DISESTABLISHED AS AN ECHELON II SHORE ACTIVITY AFTER MORE THAN 70 YEARS OF EXEMPLARY CRYPTOLOGIC SERVICE TO THE NATION AND THE NAVY. WITH A FINAL ENTRY IN THE NSG LOG BOOK AND THE LOWERING OF THE COMMAND FLAG, RADM ANDREW M. SINGER WILL BE RELIEVED OF COMMAND RESPONSIBILITIES AND NSG WILL TRANSITION TO THE INFORMATION OPERATIONS DIRECTORATE (IOD) OF NAVAL NETWORK WARFARE COMMAND. THE RECORD WILL SHOW NSG ON WATCH FROM 11 MARCH 1935 TO 30 SEPTEMBER 2005. 2. BEGINNING 1 OCT 05, IOD WILL SYNCHRONIZE THE INFORMATION OPERATIONS AND SIGNALS INTELLIGENCE MISSIONS WITHIN NETWARCOM. THE ALIGNMENT INTO NETWARCOM PROVIDES FOR THE COMBINED POWER OF FULL-SPECTRUM INFORMATION OPERATIONS, NAVY NETWORKS, AND SIGNALS INTELLIGENCE IN A COHERENT OPERATIONAL STRUCTURE. BRINGING TOGETHER THE WORKFORCES OF THE NSG AND NETWARCOM WILL DELIVER AN UNPRECEDENTED LEVEL OF EXPERTISE AND RESPONSIVENESS — PROFESSIONALS WHO UNDERSTAND AND CAN SHAPE THE INFORMATION WARFARE DOMAIN TO MEET PEACETIME, CRISIS, SURGE, AND WARTIME OBJECTIVES FOR JFMCCS AND OTHER JOINT COMMANDERS. 3. THE ORIGINS OF THE NSG DATE BACK TO 1924 WITH THE ESTABLISHMENT OF A RESEARCH DESK IN THE CODE AND SIGNAL SECTION OF THE DEPARTMENT OF NAVAL COMMUNICATIONS. REDESIGNATED OP-20-G IN 1928 AND SERVING THE DIRECTOR OF NAVAL COMMUNICATIONS, IT BECAME KNOWN AS THE “ON THE ROOF GANG” BECAUSE ITS FOUNDING MEMBERS WERE TRAINED IN THE ART OF CODED COMMUNICATIONS IN A SECURE FACILITY ON THE ROOF OF THE OLD DEPARTMENT OF THE NAVY BUILDING. OP-20-G CONTINUED TO GROW, CULMINATING IN THE FORMATION OF THE NAVAL SECURITY GROUP ON 11 MARCH 1935. 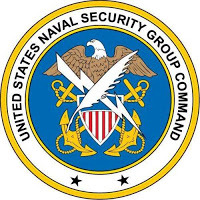 ALTHOUGH THE NAME OP-20-G WAS RETAINED UNTIL AFTER WORLD WAR II, 11 MARCH 1935 MARKED THE FIRST APPEARANCE OF THE WORD “GROUP” IN THE TITLE OF THE NAVAL CRYPTOLOGIC ORGANIZATION AND IS OBSERVED AS THE BIRTH OF THE NAVAL SECURITY GROUP. THE LEADERSHIP OF JOSEPH WENGER, THE FIRST CRYPTOLOGIC ADMIRAL, LED TO THE CREATION OF NSG, OR SECGRU, AS AN INDEPENDENT COMMAND IN 1950. IN 1956, THE NSG HEADQUARTERS ACTIVITY WAS ESTABLISHED, RETAINING THE NAME UNTIL 1961 WHEN IT WAS REDESIGNATED THE NSG HEADQUARTERS UNDER THE DIRECTOR, NAVAL SECURITY GROUP. FINALLY ON 1 JULY 1968, OPNAV NOTICE 5450 ESTABLISHED THE NSG COMMAND HEADQUARTERS UNDER A FLAG OFFICER. 4. FOR 70 YEARS, SECGRU CRYPTOLOGISTS PROVED THEIR VALUE IN CONFLICTS, PLAYING KEY ROLES IN WWII, KOREA, VIETNAM, THE COLD WAR AND MOST RECENTLY AFGHANISTAN AND IRAQ. WHILE SECGRU EXPERIENCED MANY SUCCESSES, THEY WERE NOT WITHOUT SACRIFICE. IN 1967 THE USS LIBERTY WAS ATTACKED DURING THE SIX DAY WAR. TWO-THIRDS OF THE LIBERTY’S CREW WERE CASUALTIES WITH 34 KILLED, 23 OF THEM CRYPTOLOGISTS. THE LIST DOES NOT STOP THERE. THE USS PUEBLO, THE EC-121 SHOOT-DOWN, AND THE FIRE AT KAMISEYA, JAPAN ALL RESULTED IN SECGRU CASUALTIES WHILE ON WATCH. 5. OUR NAVY’S INFORMATION WARRIORS HAVE GONE BY DIFFERENT NAMES IN DIFFERENT ERAS, BUT THE ESSENTIALS OF THE MISSION, AND THE SENSE OF DUTY, HAVE REMAINED THE SAME. AS NSG BEGINS A NEW CHAPTER, ITS FOCUS NOW TURNS TO A NEW LOGBOOK WITH ITS FIRST PAGE DATED 1 OCT 2005. SECGRU SAILORS CAN TAKE PRIDE IN NSG’S LEGACY OF EXCELLENCE TO THE NATION AND NAVY. THROUGH STEADFAST COMMITMENT AND SUSTAINED SUPERIOR PERFORMANCE, NSG CONSISTENTLY PROVIDED THE INFORMATION DOMINANCE THE FLEET NEEDED AND HAS BEEN THE BENCHMARK FOR CRYPTOLOGIC OPERATIONS BY WHICH OTHERS ARE JUDGED. THIS EXCELLENCE WILL CONTINUE UNDER NETWARCOM. 6. TO THE MEN AND WOMEN OF THE NAVAL SECURITY GROUP COMMAND, I EXTEND THE APPRECIATION AND THE RESPECT OF THE NAVY COMMUNITY. THE HERITAGE OF THE NAVAL SECURITY GROUP COMMAND IS ILLUSTRATED BY THE SPIRIT, ENTHUSIASM AND GENIUS OF ITS PEOPLE, QUALITIES WHICH WILL SERVE US WELL IN MEETING THE NEW AND DEMANDING CHALLENGES OF THE FUTURE. THANK YOU FOR ALL YOU HAVE DONE, ALL YOU ARE GOING TO DO, AND ABOVE ALL FOR SERVING WITH THE DISTINCTION YOU HAVE SO RICHLY EARNED.